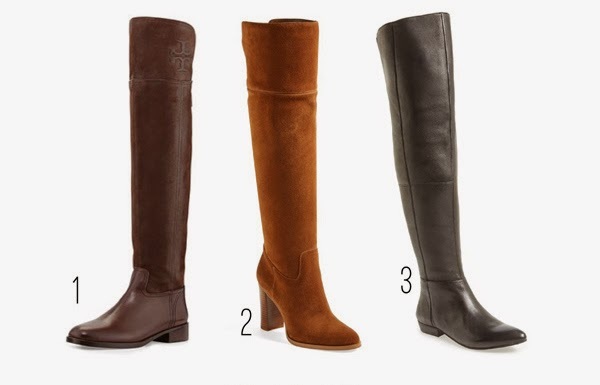 Somewhere near the top of my wishlist is a pair of tall-shafted, over-the-knee boots. Whether flats, heels or wedges, there's just something about the extra dimension they give a look, and they're especially chic for fall and great for transitioning to winter. They're perfect worn with skinny jeans or leggings, and I'm sort of dying to get my hands on a pair.